The Pre-Publication Special has started! MMA's annual Forecasts Book, written by Raymond A. Merriman since 1976, is one of the most unique, affordable, and accurate glimpses into the coming year. Utilizing the study of cycles and geocosmic factors, this annual Forecast book outlines forthcoming trends pertaining to political, economic, and financial markets throughout the world. 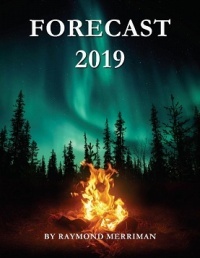 This year we are offering exclusively the English Forecast 2019 Book (and Ebook), which will be printed in the Netherlands for fast shipping. Customers who bought a Forecast Book with us before, receive 10% discount with Discount Code FC2019 for the printed book, FCE2019 for the E book and FCB2019 for the Bundle. Both, in the Bundle Forecast 2019!